Prepared by DMI for the Innovation Center for U.S. 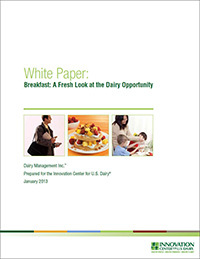 Dairy, this white paper explores the consumer attitudes, behaviors and trends around breakfast and how that translates into U.S. Dairy opportunties.